A Catholic priest was abducted on Easter Sunday in the Democratic Republic of Congo. The captors have demanded a ransom for his release. 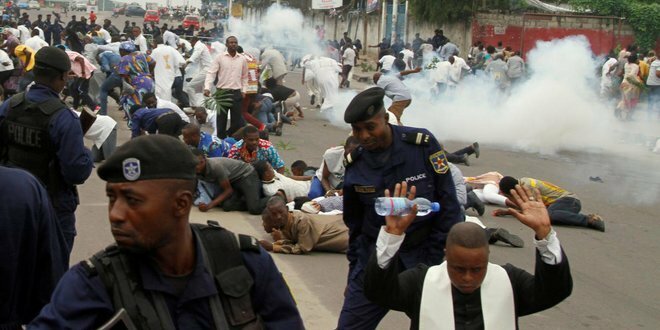 The National Episcopal Conference of Congo (CENCO) said that the kidnappers demanded the equivalent of 500,000 US dollars in exchange for freedom. Father Celestin Ngango of St. Paul of Karambi parish was made to get out of his car and led into the jungle by armed men on Sunday. This was just after he had celebrated Easter Mass in his parish in the Diocese of Goma in North Kivu province. At the end of March ten people were killed in an attack in the North Kivu area perpetrated by an alliance of militias. Three fathers of the Assumptionist Order, Jean-Pierre Ndulani, Edmond Kisughi and Anselme Wasukundi, were seized there in October 2012, and fellow priests Jean-Pierre Akilimali and Charles Kipasa were abducted in July last year. According to CENCO there has been no news of any of them since then. SHARE and Please Pray for the Release of these priests.